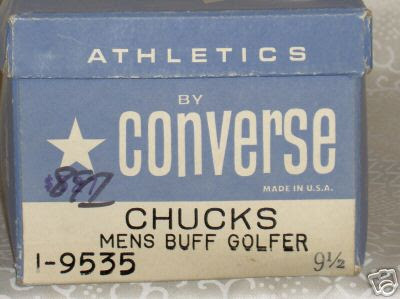 The Converse Blog: The Converse Blog's Friday Flashback: Chucks' Golfer. 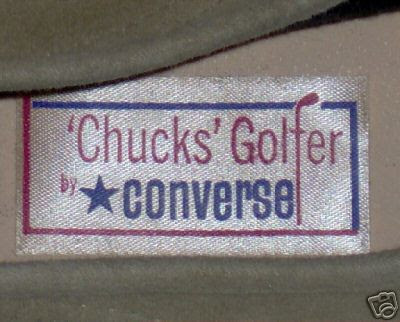 The Converse Blog's Friday Flashback: Chucks' Golfer. Good and happy Friday to each and everyone of you. It's been a crazy a few days for me and I am glad to get back to posting on the blog. I still can't say what went down, I just don't want to jinx it, but I hope by Monday that I can speak about it. 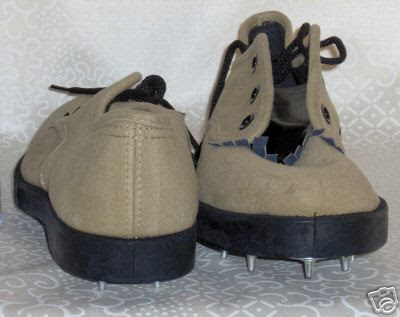 Before we get to the blog I've got to post some bad news. If you haven't heard by now, Derrick Rose signed a contract with Adidas the other day. Now I don't know how serious a chance that Converse had to sign Rose, but I really had my hopes up. At the end of the day it has now been 17 years since Converse signed the #1 draft pick. This hasn't always been a bad thing (Kwame Brown), but I do hope it's a streak that can end next year. Now, let's get back to the blog and today's Friday Flashback. Uh-hu, that's right. 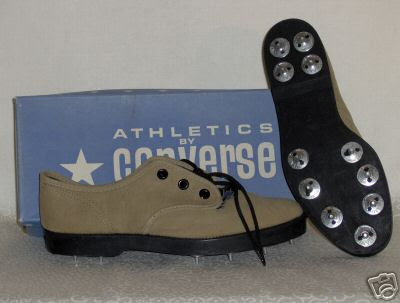 For those of you that didn't know, Converse used to make Golf Shoes. I don't know for sure how old these are, they come in a box that I've never seen before. 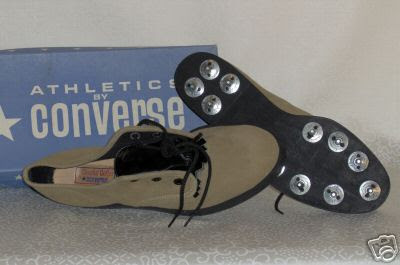 One thing I love about these shoes is that they actually have "Chucks" in the name. I've never seen that before either. Enjoy the rest of the pics. 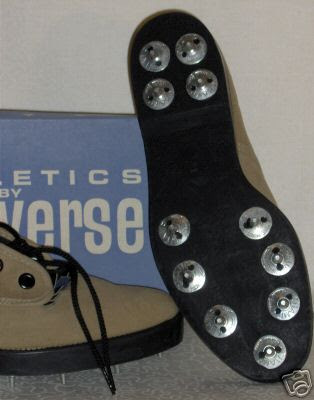 So that is what a Converse golf shoe looked like then, I'd love to see what one would look like today. Either way these are a gem and I hope you enjoyed them. Now to speak on the current poll. Maurice Evans recently signed a contract with Golden State, one of the teams that I didn't put in the poll. He was coming from that Orlando Magic, which already had a Converse player on the team in Jameer Nelson. So I should have put Golden State on the poll, ah you live and you learn. However, Boston looks to be pulling away a little bit from LA. 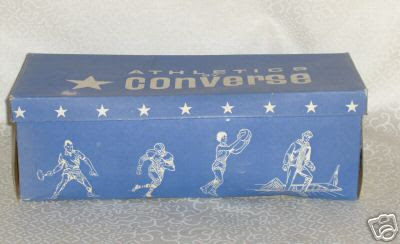 Which only makes sense when you consider where Converse is based. That's it for today, thanks for stopping in and checking out the blog.